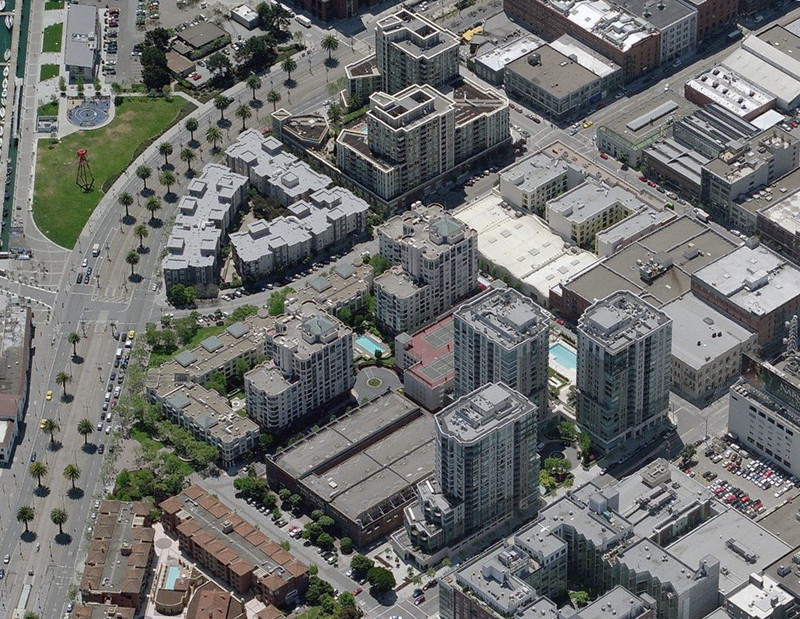 San Francisco – South Beach neighborhood at 52.5 units per acre: Bing Maps. 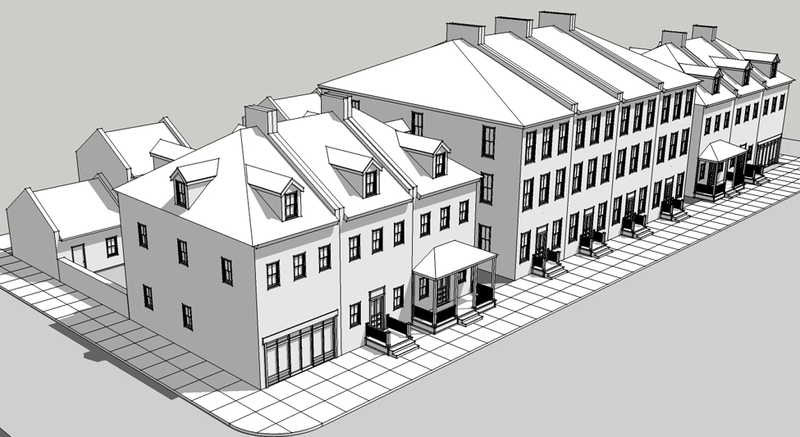 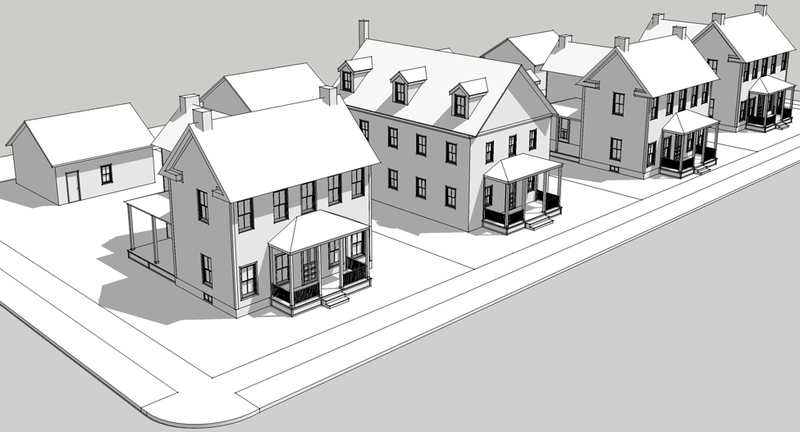 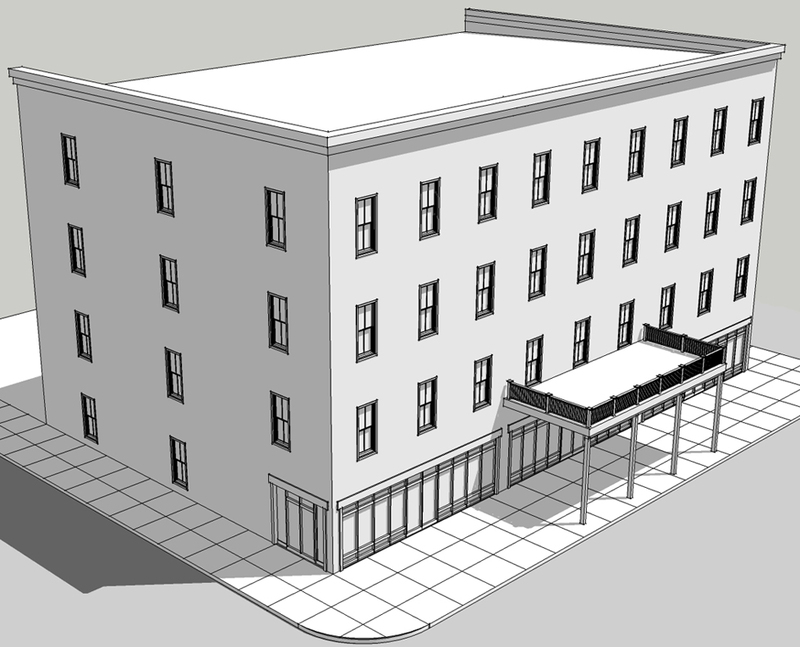 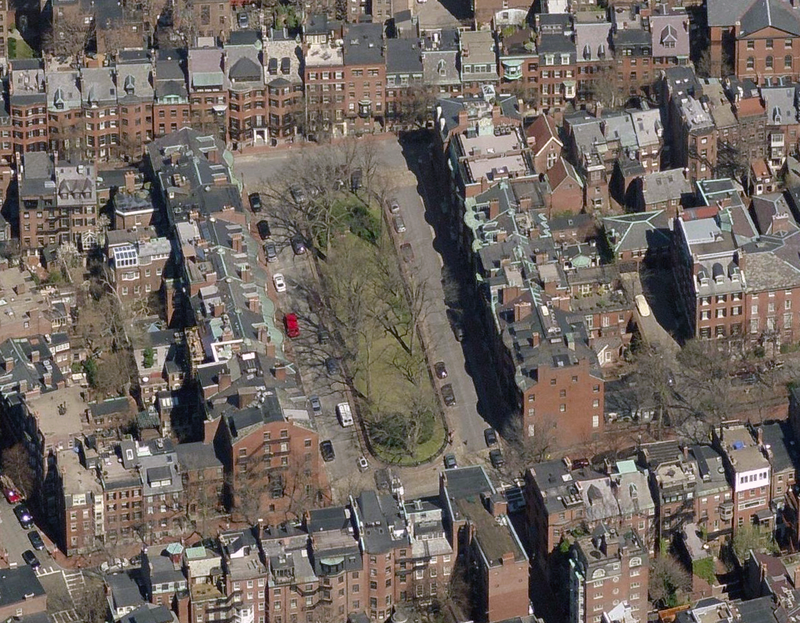 Boston – Louisburg Square at 52.9 units per acre: Bing Maps. 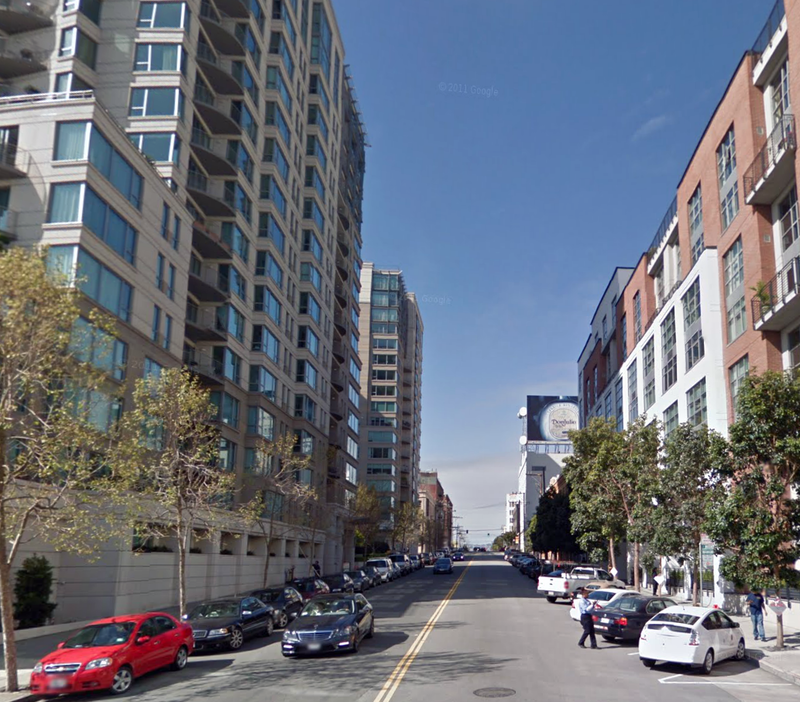 San Francisco – South Beach neighborhood street view: Google Maps. 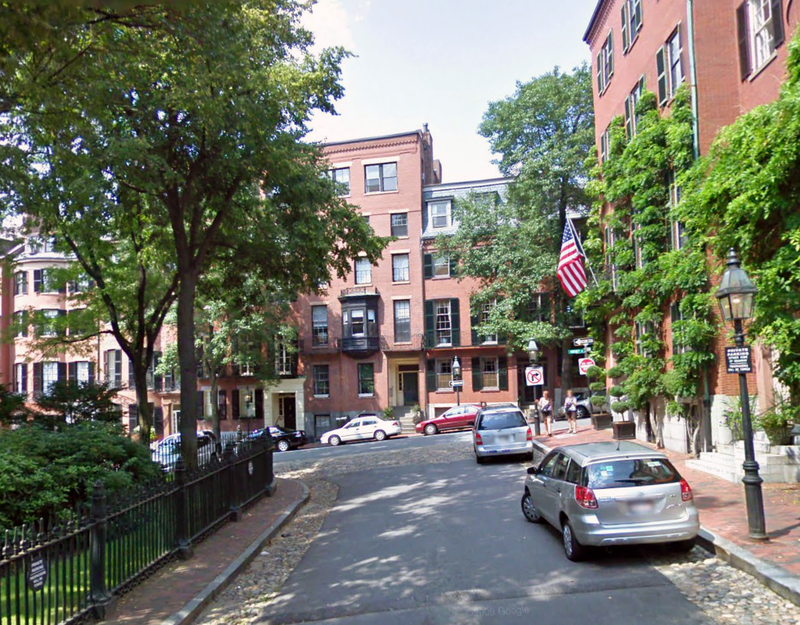 Boston – Louisburg Square street view: Google Maps.